Saturday | May 11| 11am-3pm | $180| Register Now! 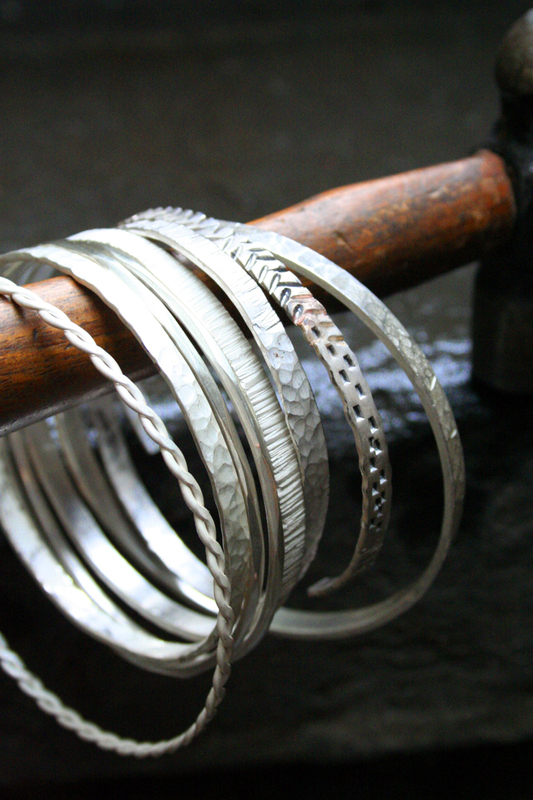 Experiment with various metals, thicknesses and styles during this 4-hour intensive. 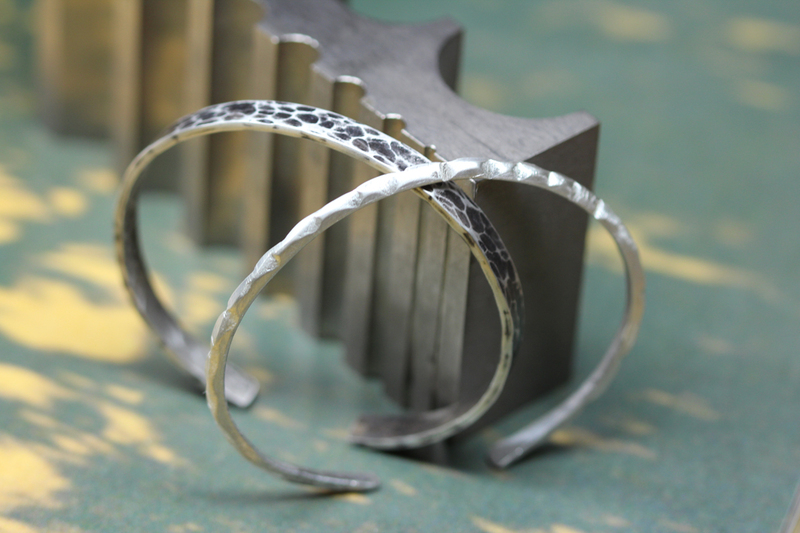 Use hammers to create different textures, experiment with pierce-work using a saw frame, and explore different finishes with patinas, high polish or matte finishes. 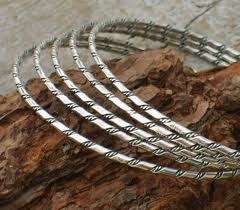 At the end of this workshop students will walk away with a couple of bespoke bangles to wear with pride!